The oldest, most trusted online guide to Mexico - Accommodations, Activities, Business, Culture, Real Estate & Travel. 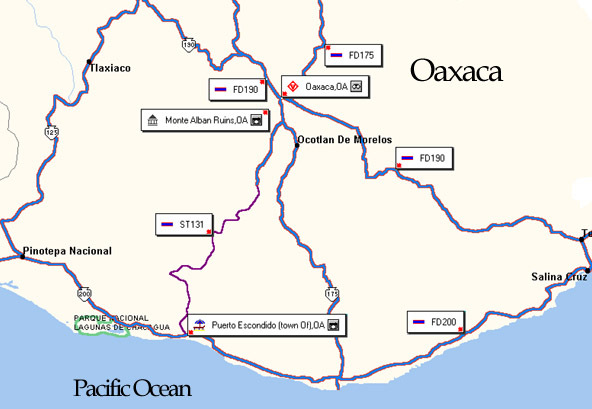 The City of Oaxaca and region, plus coastal resort village of Puerto Escondido on the Pacific Ocean. Copyright© 1993-2005, Mexonline.com LLC.